Skyliner Summit at Broken Top is a haven for its residents. It offers residents a unique community like no other. It is one of the most desired west side locations. 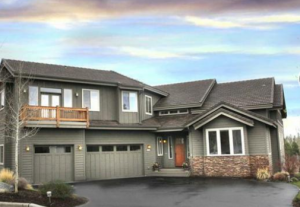 Skyliner Summit is located at Broken Top, one of the finest gated, golfing communities in Bend. It is one of the finest examples of what a family-oriented community has to offer. Skyliner Summit at Broken Top is a community located in the northwest area of Bend, Oregon. This community boasts over 39 acres of common area for residents to enjoy, many parks, and hiking trails. Residents also enjoy stunning views of the Cascade mountain range, gorgeous Ponderosa Pines, and Overturf Butte. It is located in the city of Bend, which is in Deschutes County. Deschutes County is east of the Cascades, and the county is situated at the foothills of this mountain range. The rainfall this area gets per year is approximately 12 inches. Skyliner Summit at Broken Top homes are located in the, 97702, 97701, and 97707 zip codes. Homes within the city have a sales price (median) of $ 287,000. The price per average square foot of Homes in Bend is $ 157. Schools in Bend such as K-12 of its elementary, middle, and high schools total approximately 59. Colleges and higher learning institutions in and around Bend include two campuses. One campus is Central Oregon Community College, and the other is Oregon State Cascades Campus. Many of the things of the places to see revolve around outdoor activities. Bend is the best places for recreation in the outdoors in the United States. The city boasts many outdoor activities such as hiking , fly fishing, mountain climbing, skiing, zip lining, biking, and many others! Skyliner Summit at Broken Top is a wonderful place to call your home! It is the finest of Oregon living ! Skyliner Summit at Broken Top is a family-oriented community set in the rustic yet modern city of Bend, Oregon. The families of the Skyliner Summit enjoy community living in a peaceful and tranquil landscape with beautiful, natural parks, and a plethora of outdoor activities for adults and children alike. Skyliner Summit is a haven for any family.